ISSELHOOK’s First Sight was spotted by his current owner at a friend’s farm and moved to the Münsterland ISSELHOOK Stud. He received his age relevent, dressage Training from Leonie Bramall, having completed his preparation for the 14 day test in 2016 and then successfully completed his stallion licensing in the Autumn of 2017. 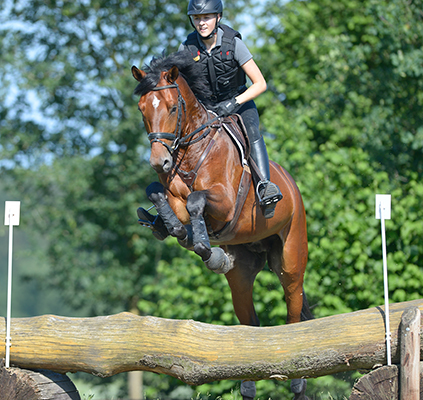 He was awarded very high marks for his character, his willingness to perform and for his free jumping. Once he completed his stallion licensing his owners decided to send ISSELHOOK’s First Sight here, entrusting me with continuing his training. The stallion has been with me since February 2018 and he impresses me not only with his fabulous work ethic but also his totally relaxed attitude and wonderful character. Goody, as he is known here in the stable, is multi talented. 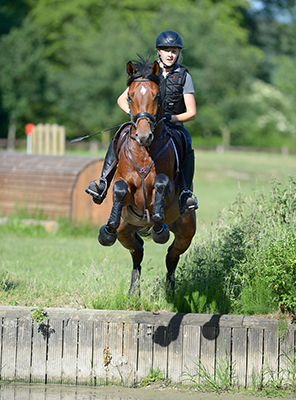 As a three year old he was placed in dressage riding horse tests, as a four year old had won not only a cross country test but placed in a dressage horse test.